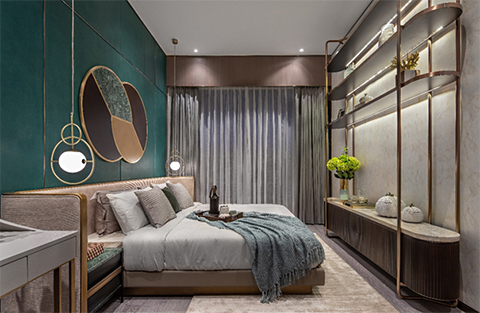 The long-awaited luxury project at 29B Nguyen Dinh Chieu, District 1, Ho Chi Minh City opened its show suites for the first time at the end of March 2019. 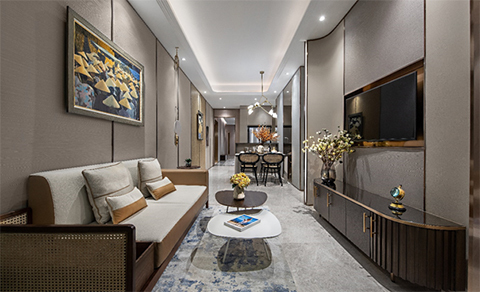 Savvy investors from across Asia have taken this opportunity to visit one of the most luxurious and elegant sales galleries and show suites in the city. Upon arrival at the sales gallery, visitors will be welcomed into in a beautiful reception lounge. The stunning onyx floor featuring rich contrasting parallel layers gives the lounge an exquisite look that is rarely seen in Ho Chi Minh City. 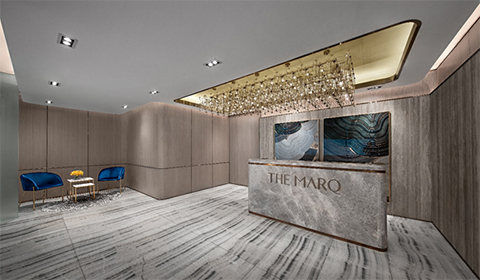 Like a bejewelled masterpiece, The Marq’s sales gallery presents the grand development in opulent and rich textures and colours. To help customers visualise the look and feel of their future home, the sales gallery interior adopts the same design elements that will be used in the reception lobby of the actual development such as the stunning onyx floor, the wooden fins, the rose gold metal trim and the sophisticated emerald colour. The one-bedroom show suite takes inspiration from the coffee bean, a product for which Vietnam is famous. 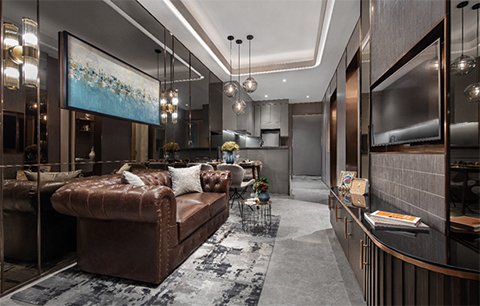 The seductive coffee colour has been translated into a genteel and masculine design that fits the exciting urban living lifestyle of a bachelor. 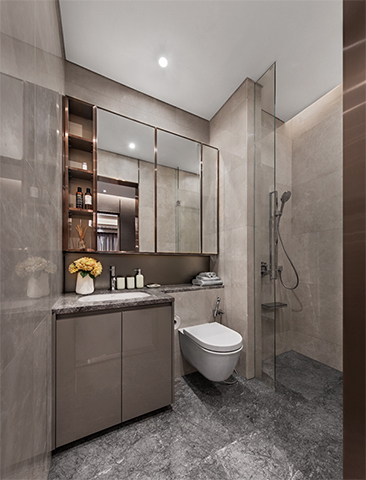 The bathroom is glamorous with marble walls and flooring in complementary colours. Sanitary wares and accessories are from the Duravit and Axor brands respectively. The two-bedroom show suite is a clever union of a soft tonal colour palette and materials native to the region. Featuring relaxing and delightful accents of artistic embellishments, the core design concept of this apartment is refined craftsmanship. Select details such as rattan woven furniture and local wall arts give stylish touches of local tradition to this interior design. The crown jewel of The Marq’s sales gallery is definitely the four-bedroom show suite. Beautiful shades of emerald, warm taupe and cream evoke a sense of calm and elegance in the design of the master suite. The décor details are all about luxury: comfy king size bed in velvet and leather upholstery, sumptuous fabric, glittering mirror and metallics in rose gold colour. 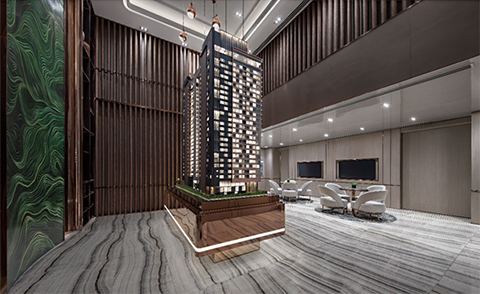 Developed by Hongkong Land, The Marq is a luxury residential high-rise building that will be open for sale in the first half of 2019. Located in the heart of District 1, the development will provide 515 opulent residences comprising 1- to 4-bedroom condominiums and penthouses offering stunning views of Ho Chi Minh city and a true luxury lifestyle for discerning investors. For more information, visit www.themarq.com.vn or call 0978 488 988.